Posted on December 20, 2015 by No Map Required Posted in Places, Spain	. I know. I know. You’ve been to the mall 4,000 times in the past six weeks, And the grocery and the liquor store, the hardware store and the other grocery store; the one with that thing you like but the other store doesn’t have. So why read a blog about yet another market? Churros, my friends. Churros. The Churro Man. We’ll come back to him in one second. 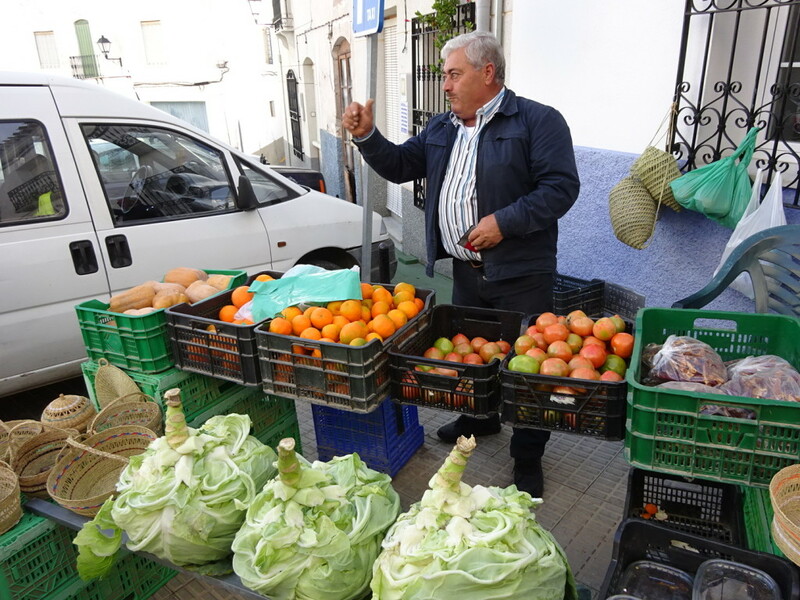 The village of Lubrin has a market on Wednesday and it’s a chance to see and be seen. Everyone, even school children selling raffle tickets, goes to the market on Wednesday morning. Who are we to skip out on the Must-Do event of the week? Nope, not going to miss out! We met our new expat friends Betsy and Warren for our first trip. Now we’ve seen a LOT of markets over the past year, but this one is is far and away the cutest! We walked from home to town which took about 45 minutes, but you get this wonderful little view. You can really see it IS a hill town. You can get almost anything you want: clothes, music, shoes, outerwear, more shoes (there’s no shoe store in town, so if you want shoes you have to wait for them to come to you on Wednesdays! 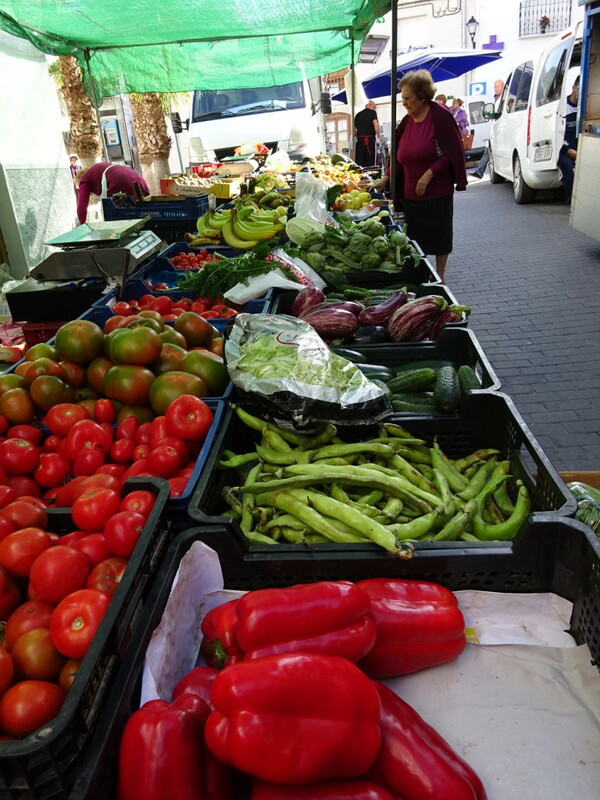 ), plants, flowers, fruit, veg, meat, fish, olives, olives, more olives, roasted chickens and, yes, churros. I expected this: fruits and veg. Much of this is home grown in little plots on terraces that run up the side of the hills around here. Every bite is delicious. After market day, I made the best soup I’ve ever made. Friendly Bartolo, the olive farmer we helped last week. Check out the cabbages! He puts up a little stand with tomatos that are fantastic – juicy and tomato-y. No supermarket styrofoam here- these are the real heirloom deal. He also weaves those baskets you see on the lower left. Quite the guy, our Bartolo! 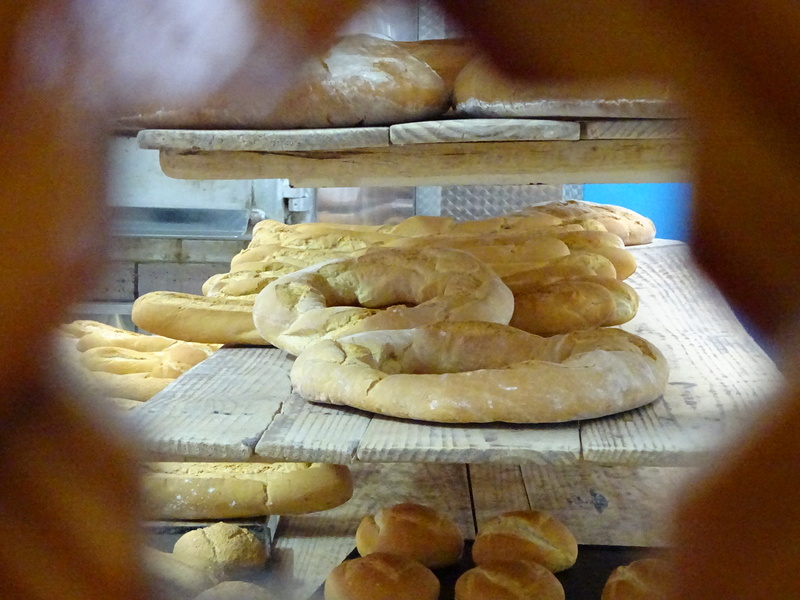 A quick stop at one of the two town bakeries to load up on bread and pan au chocolate…and maybe some muffins…and some honey cookies. Mr. Chicken Roaster. 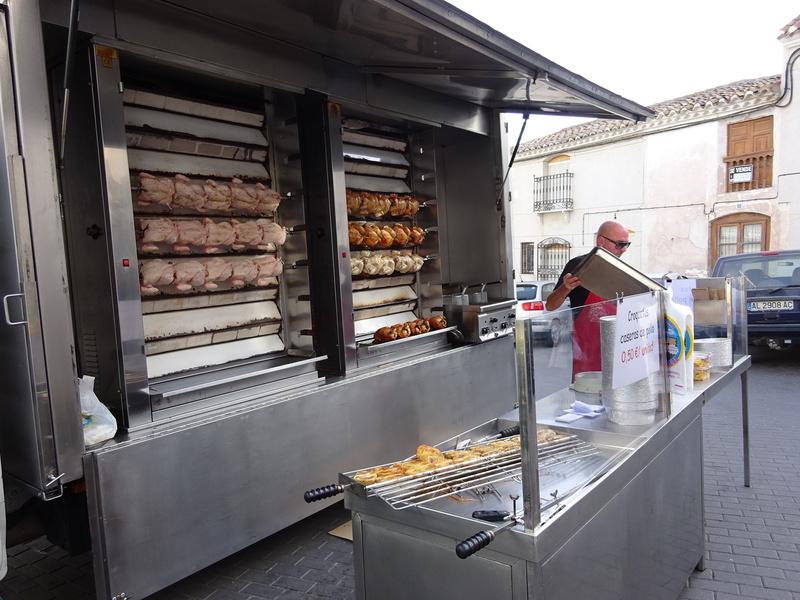 Yes, he sets up a chicken roaster right on the street. Get half or full chickens for 4.50 or 9 euros (about 5 and 10 US dollars right now) and spuds for .50. We got a bunch of the roast taters and they were DE-LISH. Now on to the main event. Churros! I’ve never seen churros made in the wild before. 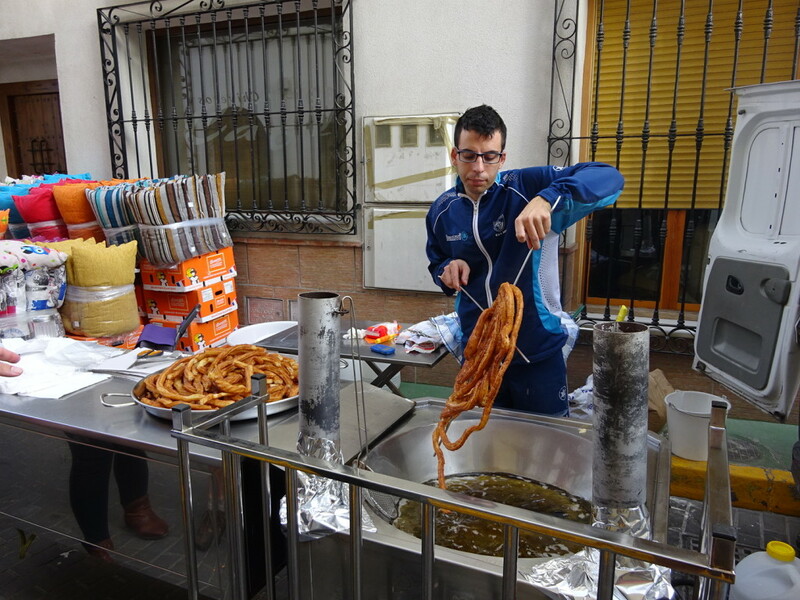 I’ve occassionally been handed a cold bag of churros, which didn’t seem that exciting, and we had some disappointing ones in Barcelona, but when I saw the vat of boiling oil I knew we were in for a real treat. Churros in their native form. 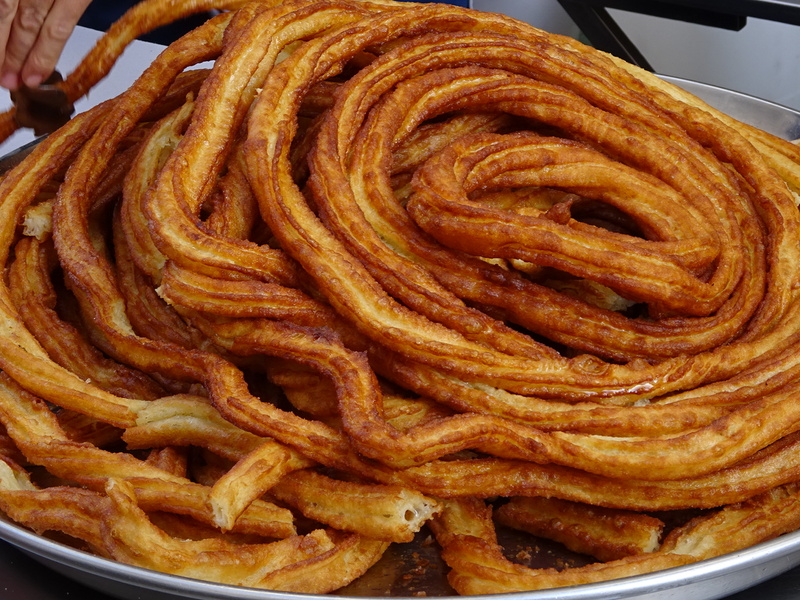 The churros are made to order each time – you won’t be getting any of the cold ones left over from the last order. Nope, fresh, fresh, fresh! The Churro Man snips them with a scissors and hands you a big bag of them for nothing. Okay. Not nothing, but you pay by the “euro’s worth” and 2 euros were more than enough for 4 of us! That picture would probably be only 6 or 7 euros. Then you go to the cafe, order up a fine beverage (coffee and juice for us, but many a villager was having wine!) and breakfast is served! We sat in the sun with Betsy and Warren, people watched, met some local villagers and noshed away. One of the all-time tastiest experiences on this trip. It’s up there anyway. 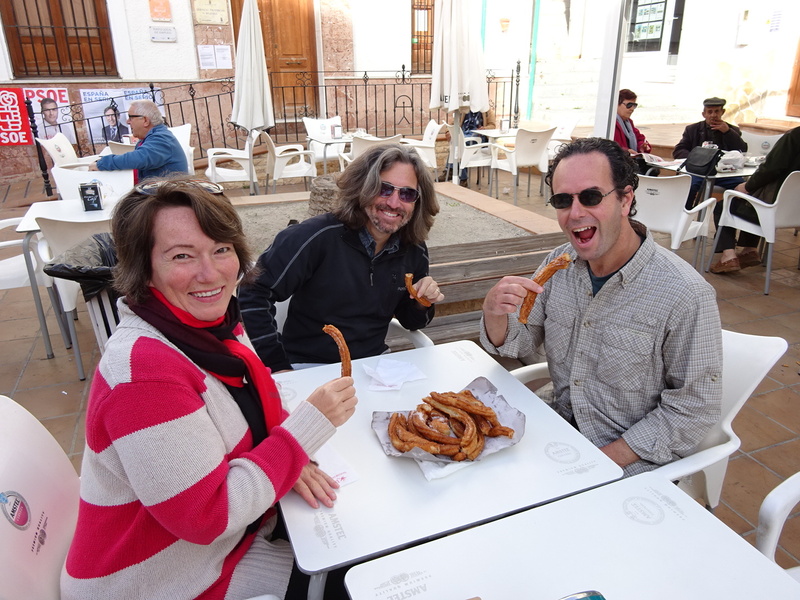 The culmination of market day: Churros and cafe with friends. If you watched the video you might notice that at the end the Churro Man asks in Spanish “Would you like sugar with your churros?” and you’ll hear a deep chorus of “Si!” When it was done, Aaron grabbed the sugar shaker and added a little more. Ooh-la-sugary-la! Can’t wait for next Wednesday. I know what we’re doing! « Mama, Where Does Olive Oil Come From? Keep it up and you two (four?) aren’t gonna look like churros. More like the cabbages! Remind me what town you are in and where, in general, it is. Old minds, without the help of churros, can’t remember. Going to? We’re well on our way!!! 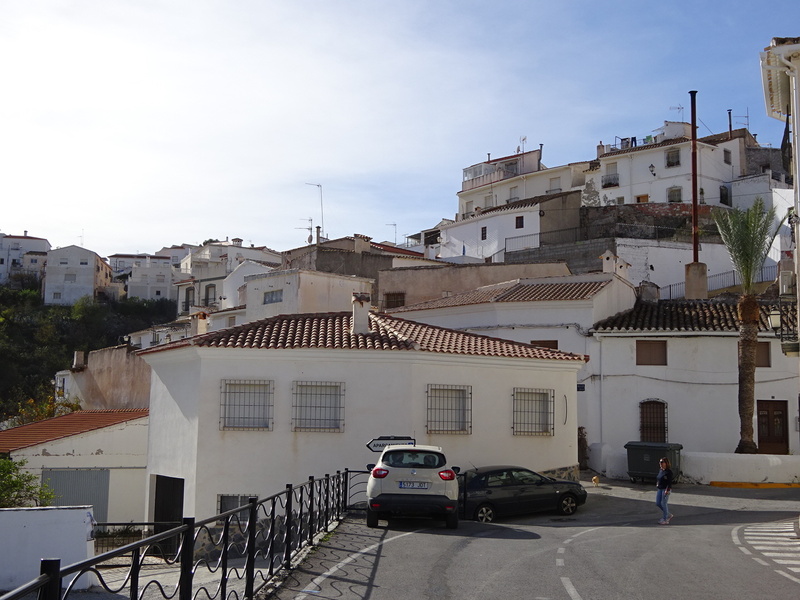 We’re in Lubrin, Spain – a little hill town of 1600 people in the southwest of the country, about 1 hour up from Almeria if you’re looking on a map. Pingback: No Map Required | Why Do Something Big?